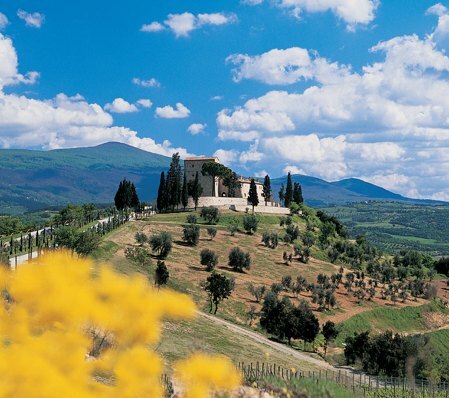 High on a gentle hillock overlooking the peaceful Val d” Orcia and the distant 5,700 ft. summit of Tuscany”s highest mountain peak, Mt. Amiata, is the breathtaking site of the newly reconstructed luxury boutique hotel. 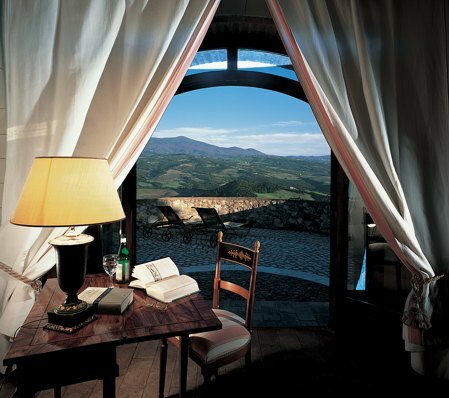 An 11th century fortress and once the villa of famous Sienese families, the Castello is today an exclusive relais where history beautifully blends with art, viniculture and gastronomy. 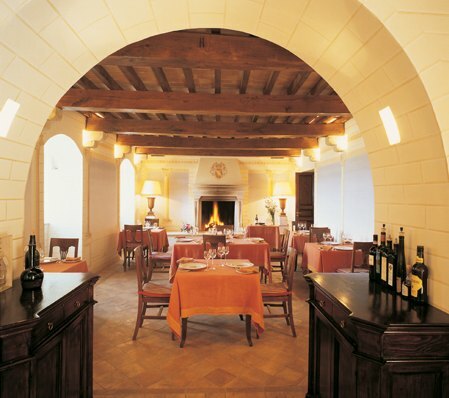 Lovers of fine food and wines will be delighted to taste the typical regional Italian cuisine, served in summertime under the olive and cypress trees, and in winter in the castle”s restaurant Le Colonne, before the massive roaring log fireplace.